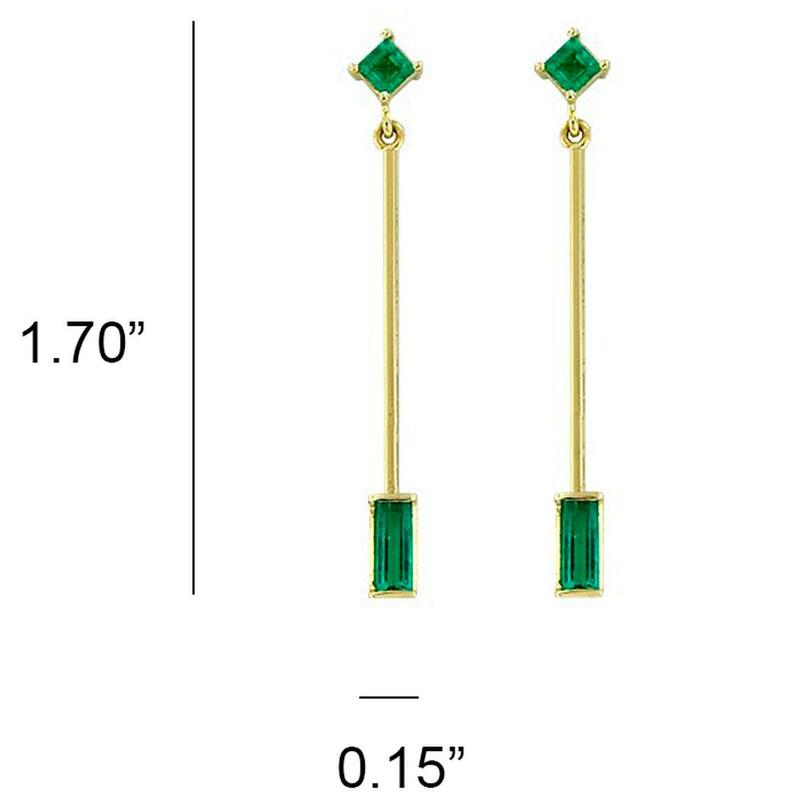 This stunning selection of baguette and princess cut emeralds share a wonderful medium dark green tone, with high saturation and slightly included clarity. 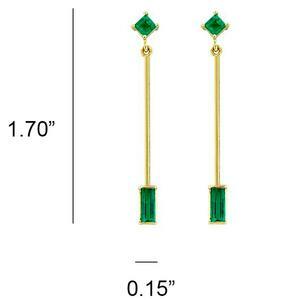 The emeralds are set in prongs at the top and open bezels at the bottom. 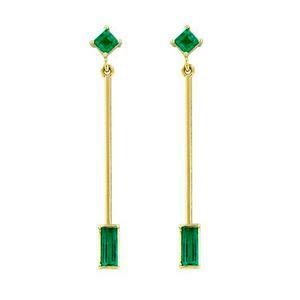 They are linked by two long and fine pieces of gold that give a delicate and feminine touch to the whole set. 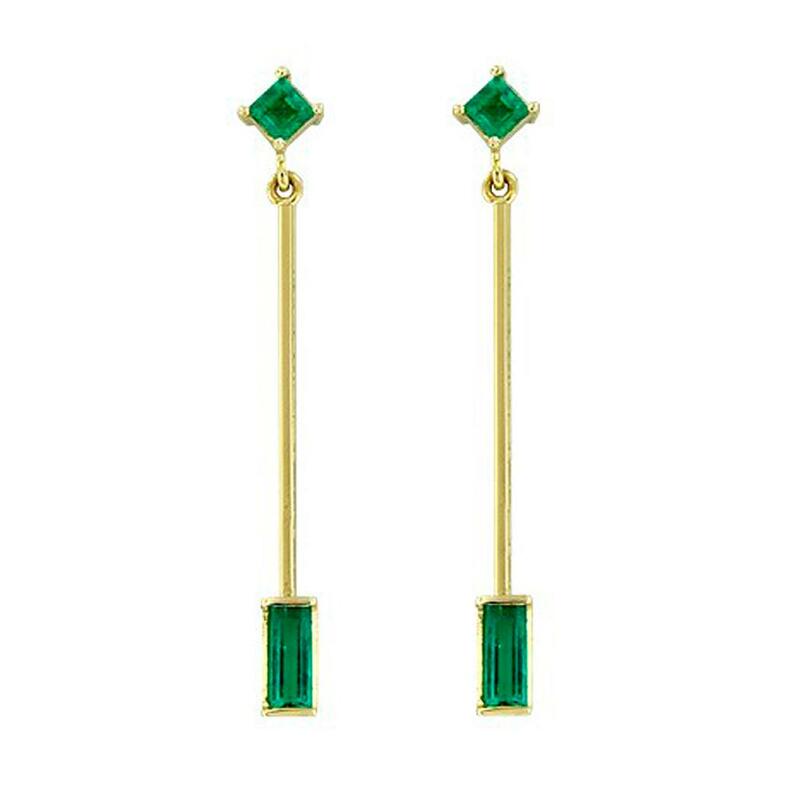 The stunning quality of the emeralds, the simplicity of the setting and the warm contrast of colors make these earrings like no other. These wonderful emerald earrings are also available in white gold.